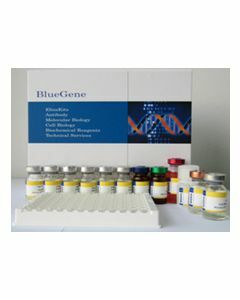 CERT, 347-598aa, Human, 01-1846 | ARP American Research Products, Inc.
CERT is a kinase that specifically phosphorylates the N-terminal region of the non-collagenous domain of the alpha 3 chain of type IV collagen, known as the Goodpasture antigen. Goodpasture disease is the result of an autoimmune response directed at this antigen. One isoform of this protein is also involved in ceramide intracellular transport. Recombinant human CERT protein, fused to His-tag at N-terminus, was expressed in E.coli and purified by using conventional chromatography techniques. Turner N., et al. (1992) J Clin Invest 89(2):592-601.